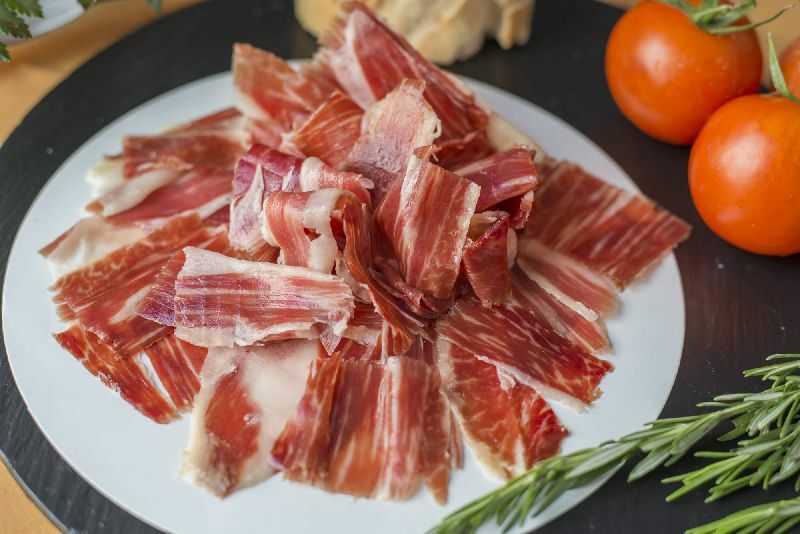 We have been offering the best Iberian products of acorn-fed pork and ham with designation of origin Dehesa de Extremadura for more than 80 years. .
We have been offering the best Iberian products of acorn-fed pork and ham with designation of origin Dehesa de Extremadura for more than 80 years. 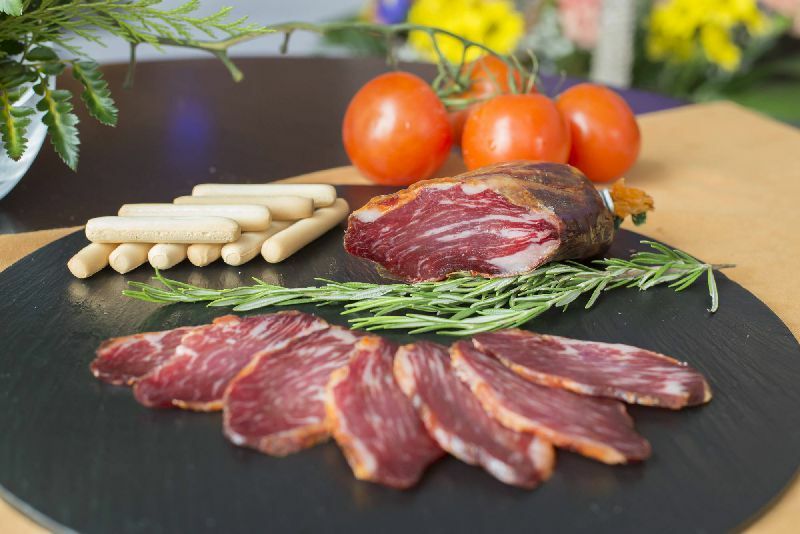 From the Extremadura Meadow lands directly to your home. Emilio Diaz’s company was founded in the 40s by Emilio Díaz Fernández and Dolores Blanco López. This company has been inherited from parents to children and it is currently directed by Emilio Díaz Blanco e hijos. 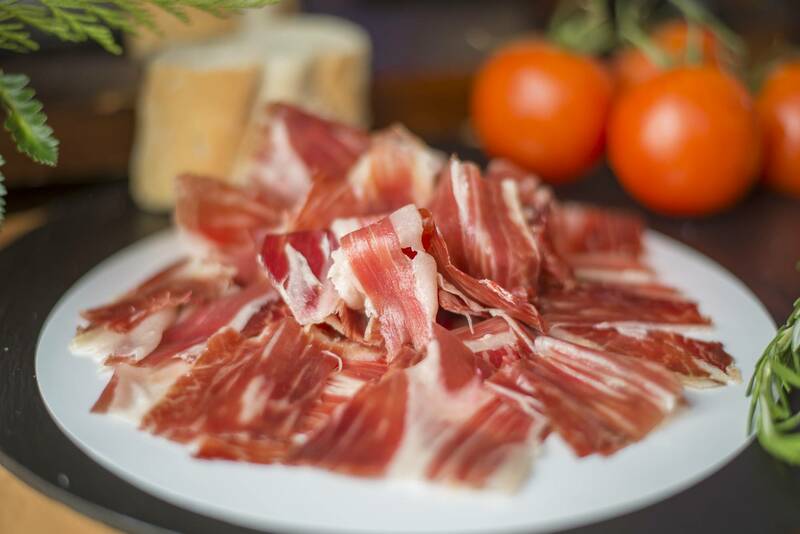 We are, therefore, the third generation dedicated to the Iberian pig. Nowadays, as of old, the elaborations of their products are completely handmade. 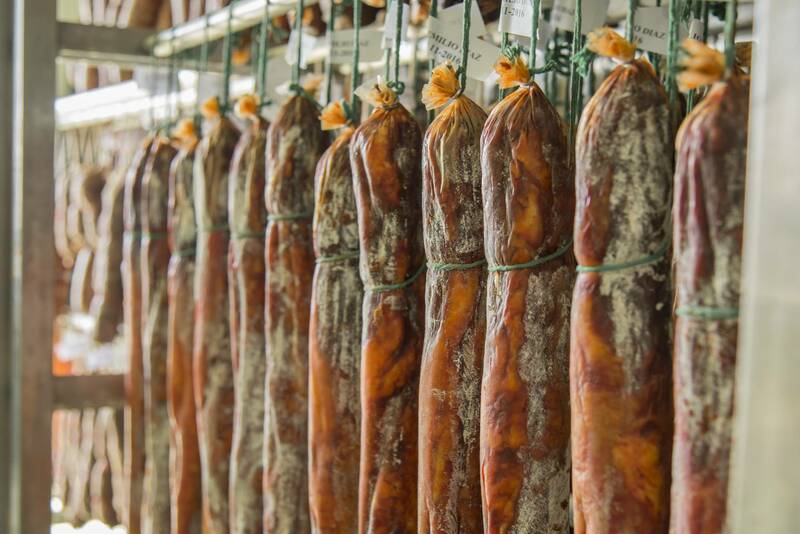 Emilio Díaz, Iberian products factory, exclusively offers products from acorn-fed pork. 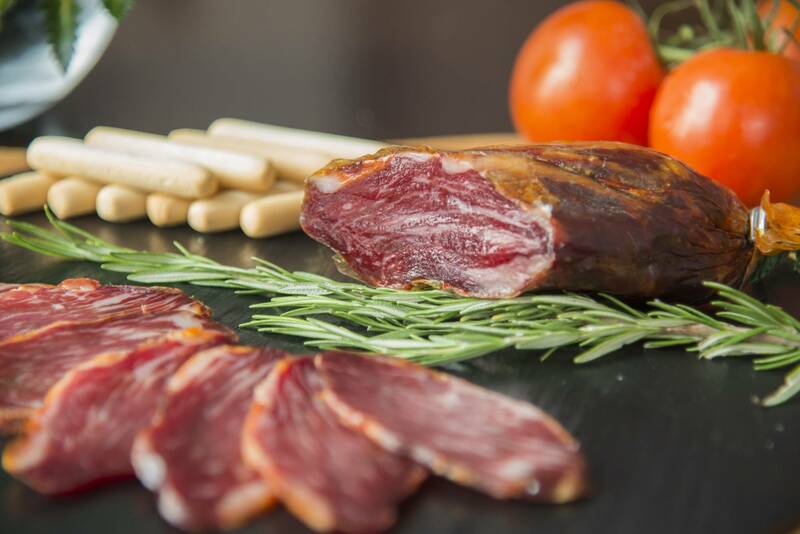 The quality of our products is endorsed by our track record and certifications such as designation of origin Dehesa de Extremadura. We look forward to serving you personally in our facilities at Jerez de los Caballeros. 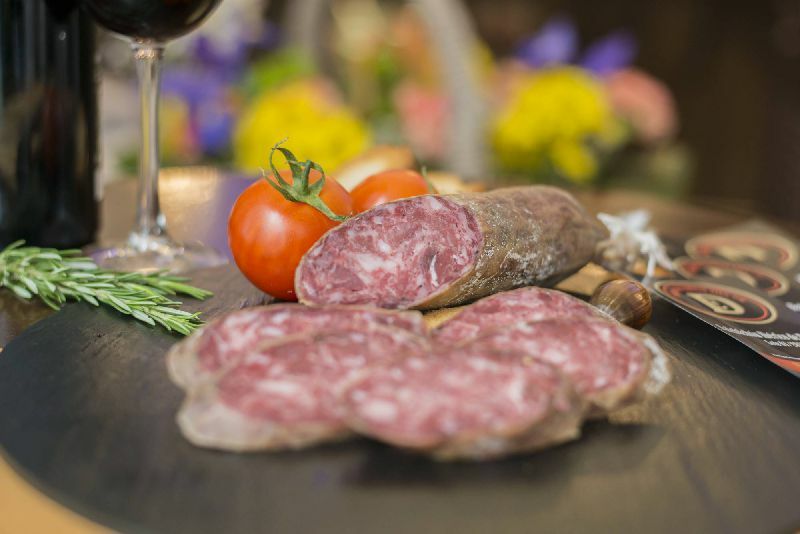 Why not come and visit us at the Fair of ham which takes place at the beginning of May? 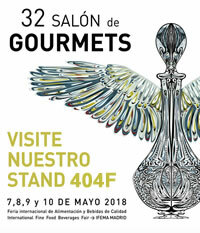 If you cannot attend this fair, don’t worry because we order delivery services to Spain and all destinations. 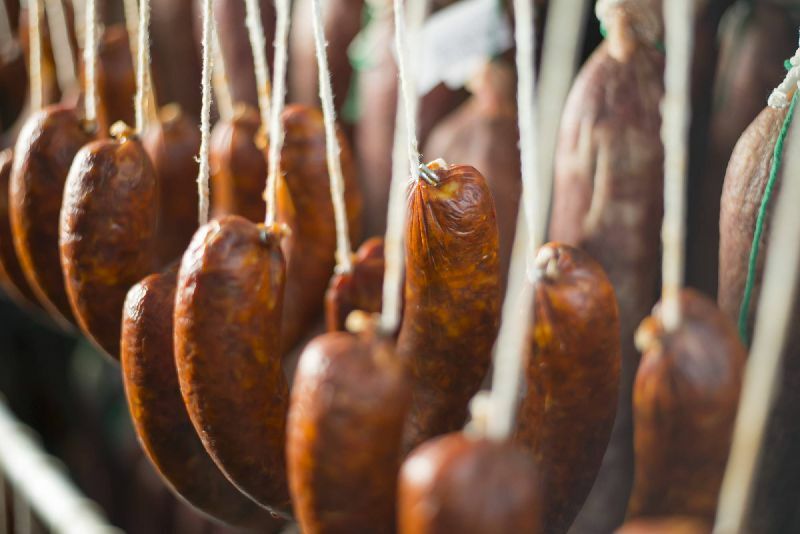 Our product can be sent as a whole piece, in slices or vacuum. 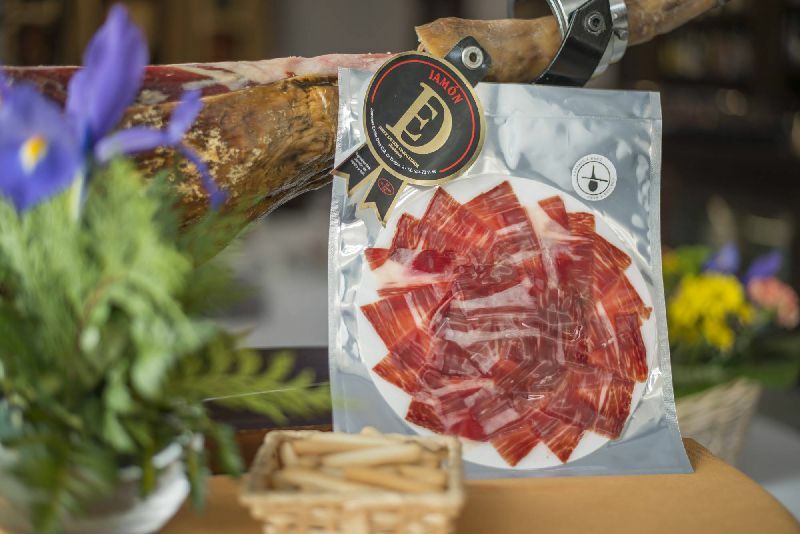 Emilio Díaz’s hams are endorsed by the certification designation of origin Dehesa de Extremadura. This means that all the pigs and products from the countryside have been verified by the technicians from the designation before they are released. Every animal has gazed acorns in the meadows and every product has taken up to four years for processing. 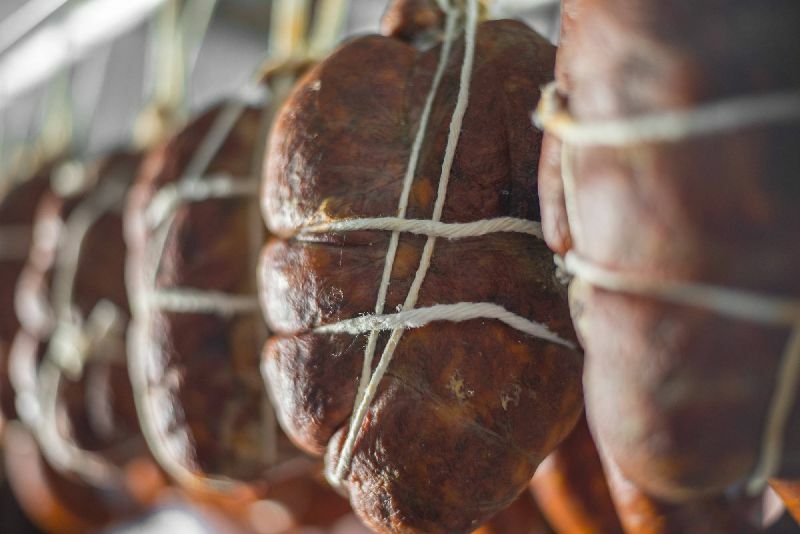 This makes every ham a unique product and totally healthy due to its composition of monounsaturated fats and other compounds which is mainly contributed by the breed of pigs. 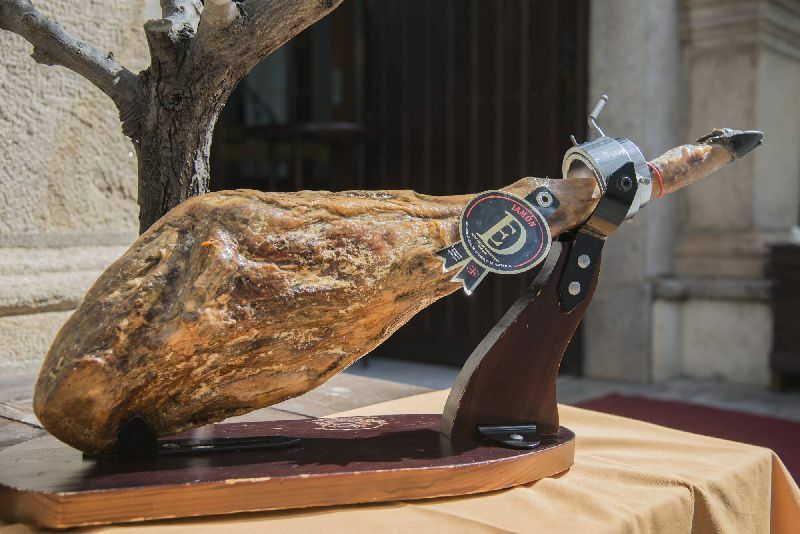 Acorn-fed Iberian Ham with designation of origin Dehesa de Extremadura. 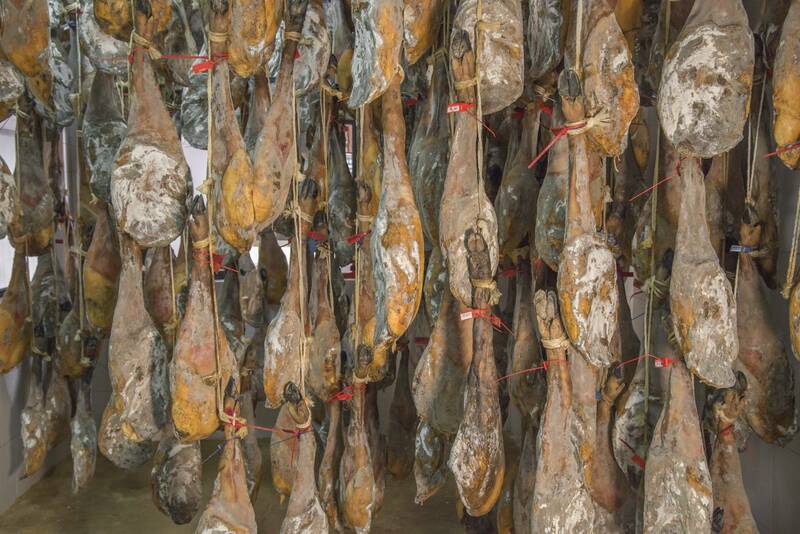 Only hams of 100% or 75% Iberian pig breeding can obtain the certification. 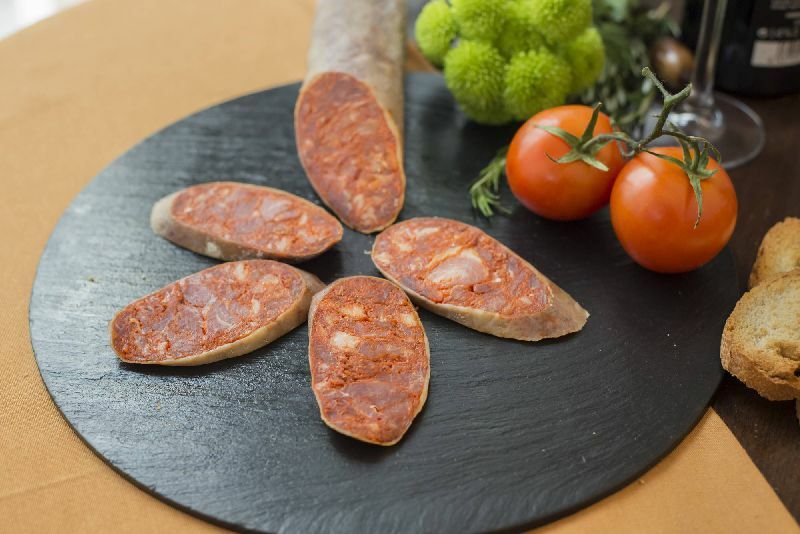 Moreover, only pigs which are fed with acorns and in a free-range Farming in the Extremadura meadow lands can obtain Label Rouge certification..